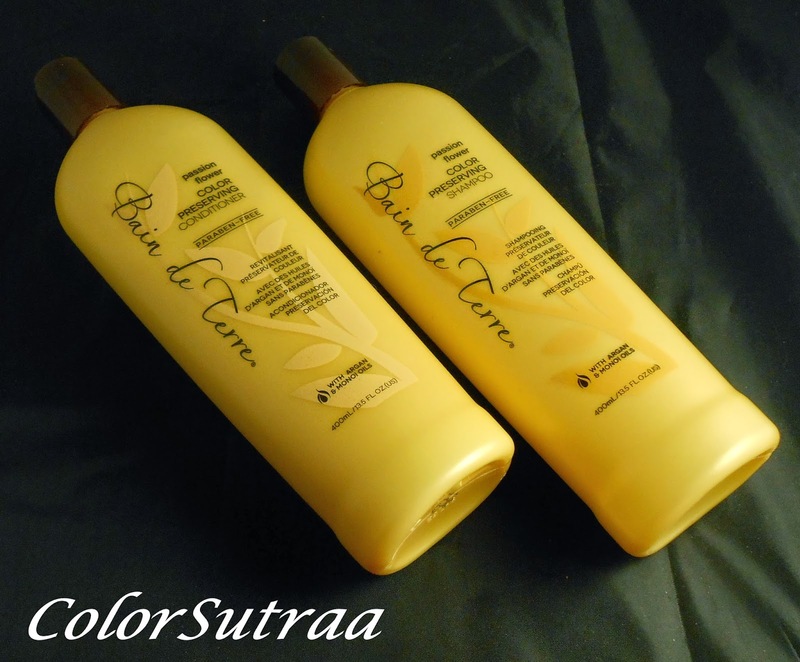 BAIN DE TERRE Passion Flower Color Preserving Shampoo and Conditioner : Review and GIVEAWAY! Hi there, my darlings! Tonight, I have a review of a pair of products I've been extensively testing for the past month or so--Bain de Terre's Passion Flower Color Preserving Shampoo and Conditioner, a salon brand available at the new beauty website Loxa Beauty. Phew! That's quite the mouthful! But these products are well worth the grand introduction! This lush, paraben-free, color-protecting shampoo is infused with fragrant passion flower plus precious argan and monoi oils that lavish hair in soft, silk perfection. Passion Flower Color Preserving Shampoo is a luxurious, moisturizing cleanser that protects color from fading and keeps hair soft, vibrant and shiny. This rich, paraben-free, color-protecting conditioner is infused with fragrant passion flower plus precious argan and monoi oils that lavish hair in soft, silky perfection. Passion Flower Color Preserving Conditioner is a deep moisturizer that protects color from fading and keeps hair soft, vibrant and shiny. Ideal for color-treated hair that’s normal to dry. USE : I used this shampoo and conditioner duo extensively for the past month--every other time I washed my hair, when I didn't use my anti-dandruff shampoo, I used this set. Use was fairly straightforward--lathered, massaged into the scalp and rinsed off with lukewarm water. In order to see the effects of just the shampoo and conditioner, I didn't use any other hair product. A few times, I allowed my hair to air-dry, while a couple of times I blow-dried my hair. IMPRESSIONS : I've been coloring my hair, mainly for aesthetic/fashion reasons, since I was just a teen. It's been awhile since I last colored my hair, preferring to grow out the last color I tried, ready to start with a new look for the upcoming wedding. Since my hair is VERY long, the bottom third still retains some of the last shade I used...and as a result, can get quite dry. These products are great for color-treated hair--I daresay that they are great even if you DON'T color your hair. 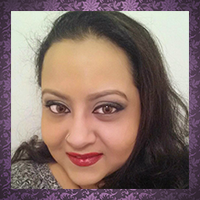 After each use, my hair felt wonderfully soft and looked beautifully shiny. The Passion Flower fragrance was an added bonus! I absolutely loved the tropical floral scent! All-in-all, thumbs up from me! So there you have it, my darlings! If you would like to pick up Bain de Terre's Color Preserving shampoo, you can find it on Loxa Beauty's website HERE for the price of $21.00 for an entire liter of product. You can find the conditioner on Loxa Beauty's website HERE for the price of $24.00 for a full liter! But wait! Bain de Terre has generously offered to give away a set to FIVE of my lucky readers! Enter through the Rafflecopter below! LIVE TIL JULY 7TH, MIDNIGHT EST! I use head n shoulders few times a week...but this does sound like a great secondary shampoo/ conditioner. Plus im a sucker for great smelling hair products!! I miss good old fashioned shampoo that I grew up with. You had shampoo for normal hair, oily hair, and dry hair. There is just too much to choose from these days and none of them seem to give me what I'm looking for. I have some Gee, Your Hair Smells Terrific that I like to use when I want that squeaky clean I used to get as a kid. But I'll always try something new!